I continue to read and be impacted by the thoughts of others. No idea who Uncle Esek is, but I have been infinitely blessed by the ability to read and reflect. I was extremely proud of my children when they read their first chapter books. I announced that from that day onward they would never be bored! This is the charge that I have taken up in preparing a manuscript that teaches Spectroscopy in One Dimension. The book proposal is 90% completed, and I aim to send it to the publisher in late August. This was an epiphany for me. I realized that a huge percentage (>90%?) of my students could not learn chemistry because they did not desire the CHEMICAL KNOWLEDGE. They desired a grade, a checked box on their transcript, a degree, or a future job, but NONE of those things will help them with point groups, wave functions, phase diagrams, etc. To learn CHEMISTRY they have to desire CHEMISTRY. A large part of my job as a professor is awakening the desire for CHEMISTRY, thus opening their ability to RETAIN what they STUDY. So much could be written about this quote, but it will get political very quickly. I’ll pare it down to one question. Are policies being made because they actually (with evidence and data) produce good outcomes, or are policies being made because they make the policy makers FEEL good? Christianity is a World View as is Naturalism, Deism, Confucianism, etc. World Views are lenses through which one sees EVERYTHING. What is your world view? Why do you have it? How did you get it? Do you have reasons for keeping it? And what would it take for you to change it? I love this quote even though it promises suffering. The best quotes tell you something true. They are like an accurate compass. They point North ALL THE TIME, and as long as you have North, you can get un-lost. Why Do I Love Pchem? Pchem, how do I love thee? 1. Pchem connects abstract concepts to concrete reality. The concept of the wave nature of light and matter is very abstract. It is not directly measurable. But the mathematics of interacting waves allows us to predict the interactions of light and matter. This is called spectroscopy. 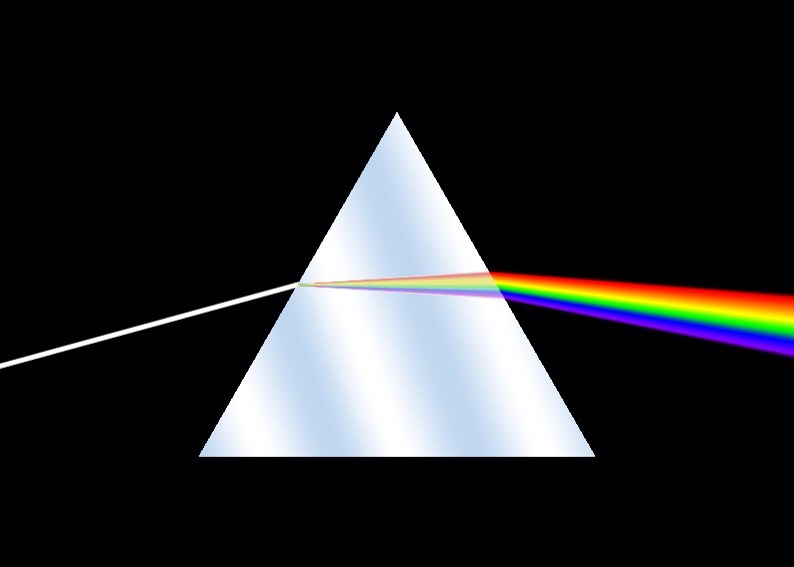 Your eyes are pigment-based spectrometers detecting light at different wavelengths giving you the ability to perceive what we call color. From these abstract wave equations we get concrete products like laser pointers and digital cameras. And I love it! 2. Pchem simulates natural phenomena well. Some of the spectroscopic simulations I have seen in pchem have been truly amazing. To appreciate this, one may need a micro-course in statistics. The R² value can be thought of as “how much scatter in the data is explained by your model”. A decent calibration curve in an environmental lab or water quality lab will have a 99.95% R² value, meaning that the calibration model captures 99.95% of the scatter in the data. The R² value for modeling the rotational-vibrational spectroscopic transitions in carbon monoxide is often 99.9996% or better. This means our pchem model for molecular vibration and rotation is capable of capturing over 99.999% of the variation in the data. That’s crazy-good! In fact, this model is so detailed, we can tell how much the CO bond length stretches as it spins faster and faster. I love that! 3. Pchem transforms your imagination. OK. So the wave function concept allows us to simulate nature and to produce exciting gadgets. But what IS the wave function, ontologically? This is perhaps the most exciting thing about pchem. It transforms your imagination. I am drawn to think deeply about the wave nature of matter, the balance of Coulombic attraction and repulsion, the coupling of intrinsic angular momentum. 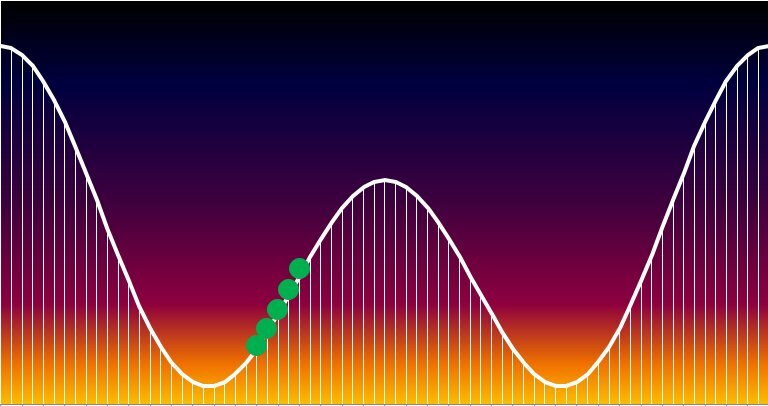 What IS the angular momentum of a WAVE? Where IS the mass in a WAVE? What (or WHO) sustains these never-decaying ground state wave functions? Amazing questions for an amazing life of the mind, which is another reason I love pchem. Forget Spring. 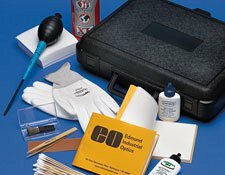 I just purchased a lot of optics, and before I rip them from their protective packaging, I had better review my handling and cleaning techniques. Most of our frustration in life stems from incorrect expectations. So let me line out the year of PChem at SHSU so you will not be frustrated by the unknown. Zooming in on the Fall semester, we have the following structure. Quantum Mechanics, Spectroscopy, and Group Theory fully developed on one-dimensional systems. This is a significant departure from the structure of my undergraduate pchem course at UT in the late 80’s. And in my opinion, it is a great improvement! My goal for the class is for the students to be able to apply a quantum view of light interacting with matter whenever necessary. I know this approach has been successful because alumni have written me saying that they were able to understand spectroscopic applications not covered in my course. This course gave them the skills to apply the theory in new situations, which is the greatest goal of higher education. Drilling down into Thermodynamics, I break the course into five sections. Statistical Thermo taking quantum theory to bulk properties. Thermochemistry the theory of bulk properties and engines. Phase diagrams, pure substances, mixtures, and equilibrium. Non-equilibrium systems and transport phenomena. Energy sources, sinks, conversion, and efficiency. This is also a departure from the traditional pchem Thermo treatment, which in my experience was a class in partial differential equations taught under the guise of a chemistry class. Is this treatment effective? Once again, I rely on alumni to support my claim that it is. They are well employed and advancing in GE, Baker Hughes, Nalco, Agilent, and other competitive companies.